HomePoliticsSLPP tycoons bout for chairmanship! SLPP tycoons bout for chairmanship! The battle for chairmanship in the Sierra Leone Peoples Party (SLPP) is becoming tenser day in day out. John Oponjo Benjamin (JOB), who doubles as the current chairman of the SLPP party has had a strong and uncompromising competitor in the race for party leadership. 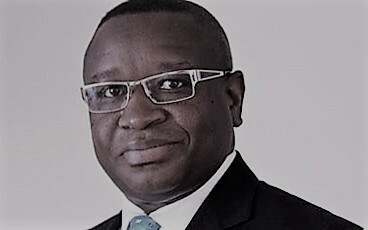 Dr. Abass Bundu, on a number of occasions, has discharged hot raw information exposing the conduct of the present SLPP Chairman and Leader JOB. Investigations carried by this press indicates however that JOB has had an easy ride manipulating things to his favour. It is disclosed that JOB and JJ Saffa are far from re-clinching the positions of Chairman and Secretary General in the SLPP. Indications have it that the current SLPP Chairman, John O. Benjamin apparently has nothing to submit to the membership of the party, but somewhat take on oppositionists. Sources from within the SLPP Hierarchy articulate that Dr. Abass Bundu is seemingly fighting a cold war with JOB as they battle for chairmanship of the party. Fresh disclosures say that the current SLPP chairman has been receiving unsolicited bashing owing to accusations linking him as ‘shooting’ the SLPP with a handgun. That it was under his chairmanship that the SLPP as a party was frog marched into the well of the High Court to answer to intemperance of laws in the party’s constitution. “He knew he has violated the constitution of the party, but mistreated the situation nay resulting to the party being sued for constitutional intemperance by Dr. Bu-Buakei Jabbie,” a strong SLPP member who asked for his name not to be mentioned, said. It was recently revealed by Dr. Abass Bundu that the SLPP yearns for an upright northerner as chairman and not any south-easterner as is usually the case. He made this disclosure in an interview in a radio monologue a few weeks ago. 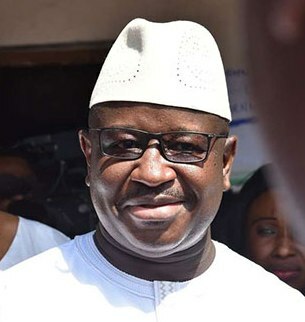 JOB, we are told, is moderately using his position to tempt executives of the SLPP to go on a man hunt and try to attractively soothe delegates voting him for a second term. Facts have it though that Abass Bundu who is now running for the chairman position in the SLPP was involved in a passport scam with cohort Madam Lilian Lisk some years ago. He was a core APC politician, but switched loyalty to the SLPP when the party was in governance. It is a fact that Abass Bundu has publicly pledged his support for one of SLPPs 19 candidates, Julius Maada Bio. To some SLPP stalwarts, it sounds baffling that even though Abass Bundu condemns JOB for supporting an aspirant in the race for flagbearership, he keeps paying faithfulness to Maada Bio- total rubbish. 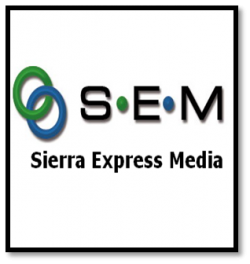 Sierra Express Media has proved beyond a doubt that Abass Bundu is playing tongues as he cajoles the membership of the SLPP. If at the northern part of Sierra Leone, he campaigns not for himself, but for a northern chairman. And when at the south-eastern jurisprudences he justifies reason to have the SLPP elect a south-eastern flagbearer. To this, we ask whether Abass Bundu is apparently promoting his personal agenda or virtually seeking the interest of the SLPP? Now, bend your head and see JOB in a punch-up battle with Abass Bundu for chairmanship of the SLPP. As JOB boasts having the support of Kailahun Court Barray (KCB), Abass Bundu insists snatching the chairmanship from him – e shameful ooh! “Ndapi gii ta kpakpa ngoii woooooooo!! Ngor JOB, bi yae nar ta pae ma?” cries of Kailahun Court Barray as they pledge loyalty to JOB. “JOB, gbin ka Kuru Masaba hi ba eh tiki chaerr. eh enann gor hi diri haa nyala tin deh!! !,” Abass Bundu challenges boastful comments of people of KCB.